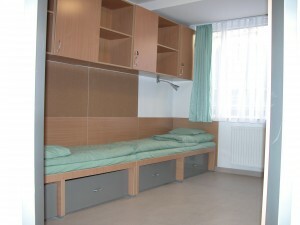 This is a new and good quality hostel in the centre of Budapest, it offers private rooms and apartments with own bathroom and kitchen. Excellent value for money! 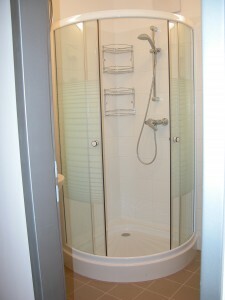 It is ideal for smaller groups, individuals, families, friends, etc. We can offer you secured parking place for low price. It operates from 27th June to 26th August in 2013. 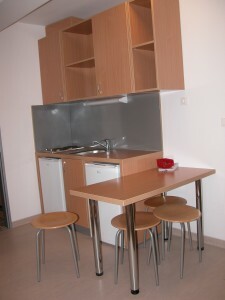 Each room and apartment has its own kitchen with fridge, desks with chairs. 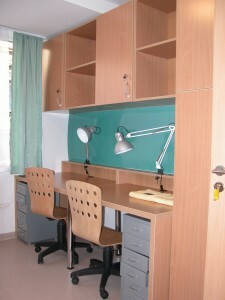 Address: 1084 Budapest Tavaszmező utca 7-13. You are requested to pay AT ARRIVAL IN CASH (EUR, HUF, USD). You can get the key after paying the full price. If you provide credit card details at the booking, it is only for guarantee, we do not charge it! In case of losing the key, you need to pay EUR 20. We advise you to give your room key to the receptionist when you are out of the hostel. From the airport: You can use our pick-up service for EUR 22 / car (max. 4 people / car, flight details should be provided minimum one day earlier) or take a taxi or the airport minibus. By public transport from the airport: Take bus no. 200E to Kőbánya Kispest endstation, change for the metro to Corvin-negyed station, then take the tram no. 4 or 6 (in direction of Széll Kálmán tér or Margit híd, 1 stop) to Harminckettesek tere (or walk). Then walk in direction of the church in Baross utca. Tavaszmező utca starts from the left side of the church in Horváth Mihály tér. From Nyugati railway station: Take tram no. 4 or 6 (in direction of Újbuda központ or Móricz Zsigmond körtér) to Harminckettesek tere stop. 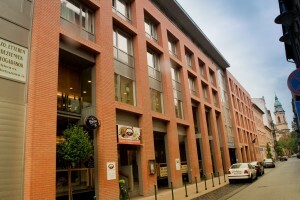 Then walk in direction of the church in Baross utca. Tavaszmező utca starts from the left side of the church in Horváth Mihály tér. From Keleti railway station: Take the metro (M2, in direction of Déli pályaudvar) to Blaha Lujza tér (1 station) and change for the tram no. 4 or 6 (in direction of Újbuda központ or Móricz Zsigmond körtér) to Harminckettesek tere stop (2 stops). Then walk in direction of the church in Baross utca. Tavaszmező utca starts from the left side of the church in Horváth Mihály tér. From Déli railway station: Take the metro (M2) to Blaha Lujza tér and change for tram no. 4 or 6 (in direction of Újbuda központ or Móricz Zsigmond körtér) to Harminckettesek tere (2 stops). Then walk in direction of the church in Baross utca. Tavaszmező utca starts from the left side of the church in Horváth Mihály tér. From Népliget bus station: Take the metro to Corvin-negyed (in direction of Újpest központ) and change for tram no. 4 or 6 (in direction of Széll Kálmán tér or Margit híd) to Harminckettesek tere for 1 stop (or walk). Then walk in direction of the church in Baross utca. Tavaszmező utca starts from the left side of the church in Horváth Mihály tér.